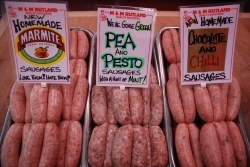 We have a fantastic selection of home-made sausages made with the finest ingredients. Containing: Pork, Chicken, Oatmeal, Seasoning, Vegetable's and Spices. GLUTEN FREE sausages are always available. Some in 'Flavours', please ask. 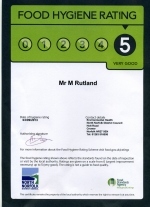 Our sausages are made with Free Range Meats, low fat and low salt where possible and cased in natural skins.